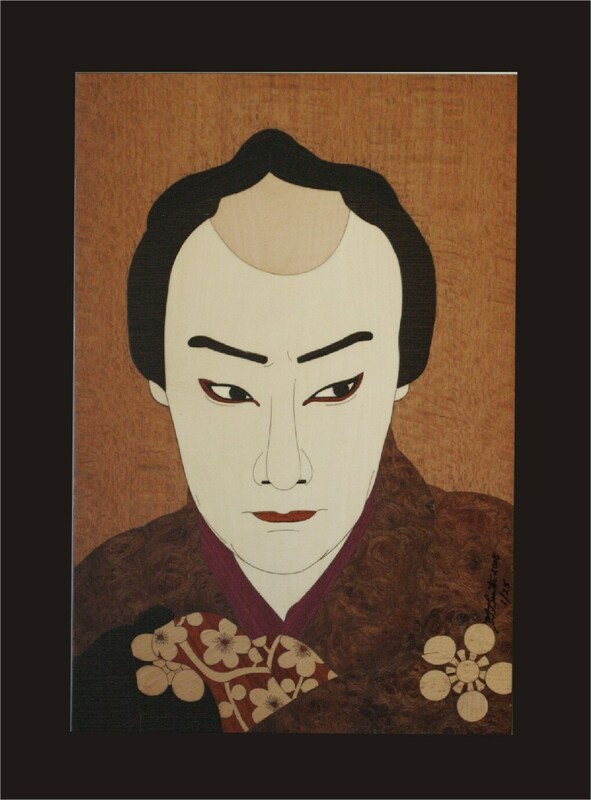 Wall Decor, Kabuki Actor Woodblock Inlay. 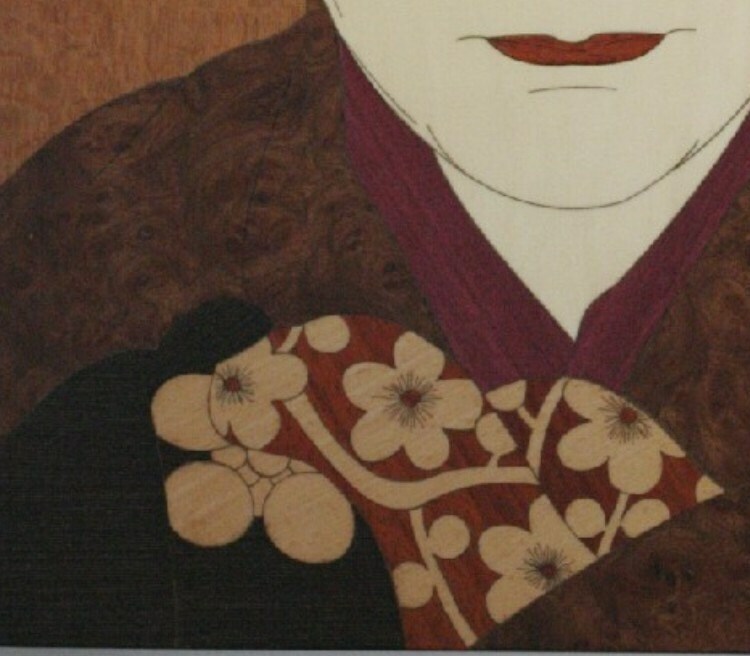 This is the fourth of a series of six different inlays I made from Japanese woodblock prints from around the turn of the century. On the back of each piece is the name of the original artist, the actors name and the character they played in a particular play. Each is a limited edition of 25 and are signed and numbered. This piece is approx. 17" x 22" x 1" and it is covered with holly, wenge, paduak, walnut, anigre, lacewood and purpleheart. All of the colors are natural as i use no stains or dyes. It comes with a sawtooth hanger for attaching to the wall. A wire can be provided if you prefer.